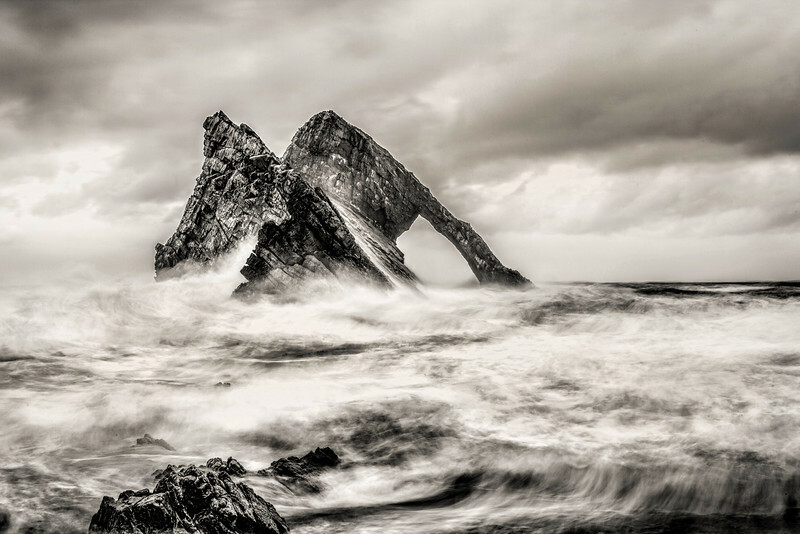 A selection of Black & White landscape images. I personally like the drama a black & white image gives. Please take your time to view them and I hope you see something that brings enjoyment. Please note, I am happy for my work to be shared across Pinterest but other uses, ie, web design, promotions, printing, modifying, etc, is not permitted without permission or prior purchase. Thanks & enjoy viewing. I hope you enjoy looking at them. Bow Fiddle Rock, Portknockie, Moray, Scotland.